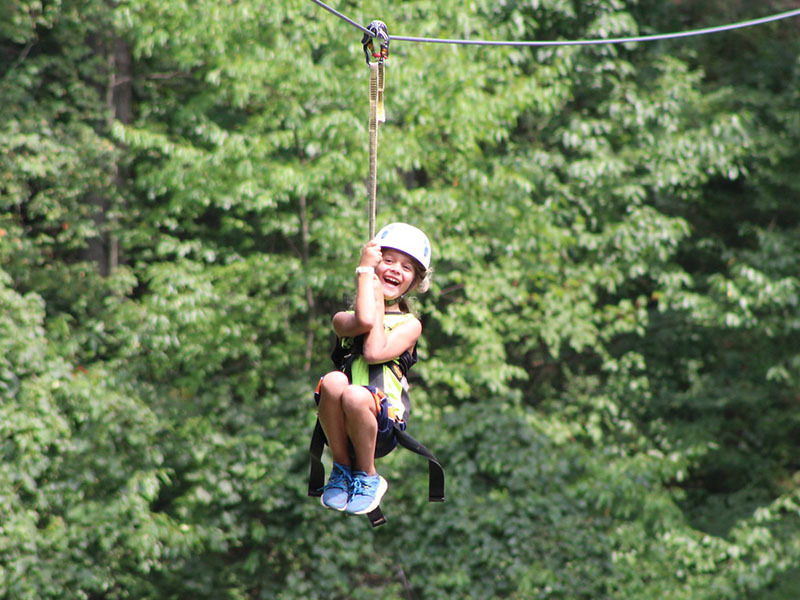 Soar through the trees on our zip lines. 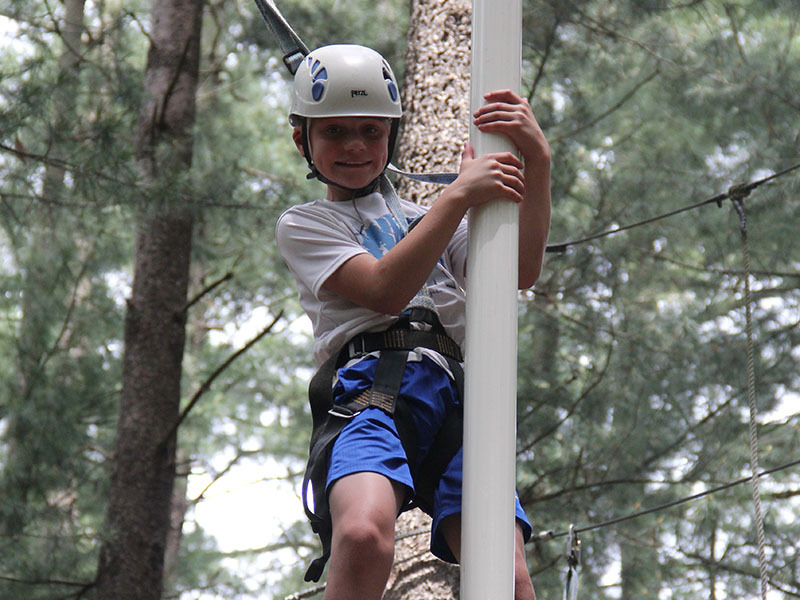 Climb to new heights on our outdoor climbing tower. 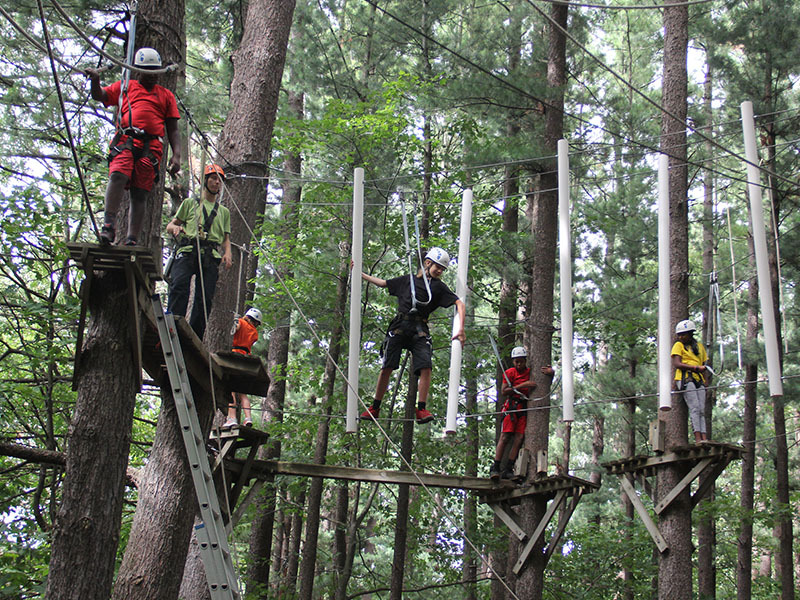 Navigate mid-air obstacles on our high ropes courses. 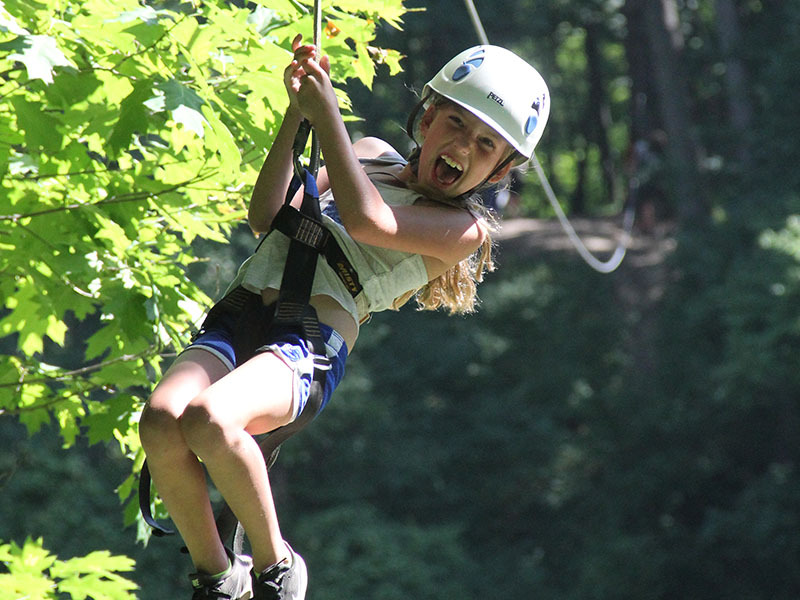 What better way to connect to nature than to be right in the trees! 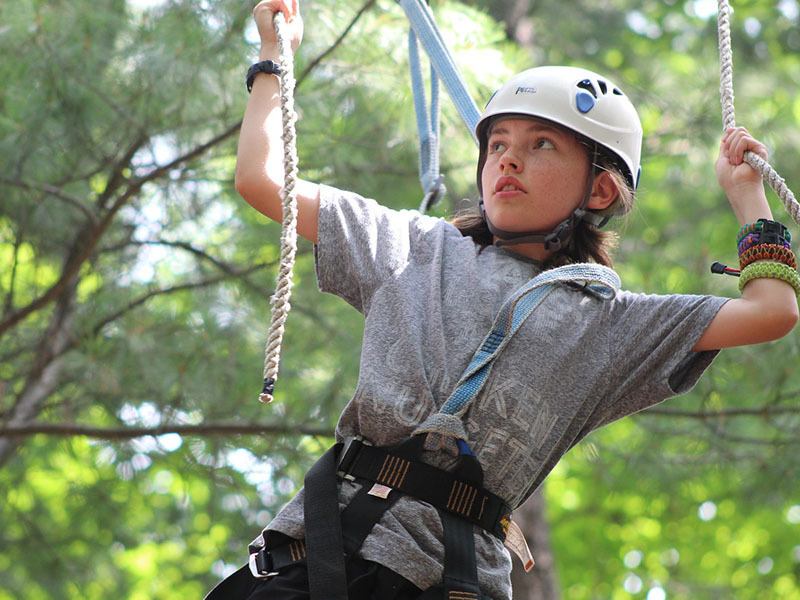 Challenge yourself and create memories that will last a lifetime as you select your adventure (or choose your challenge below) in our outdoor and adventure education program. 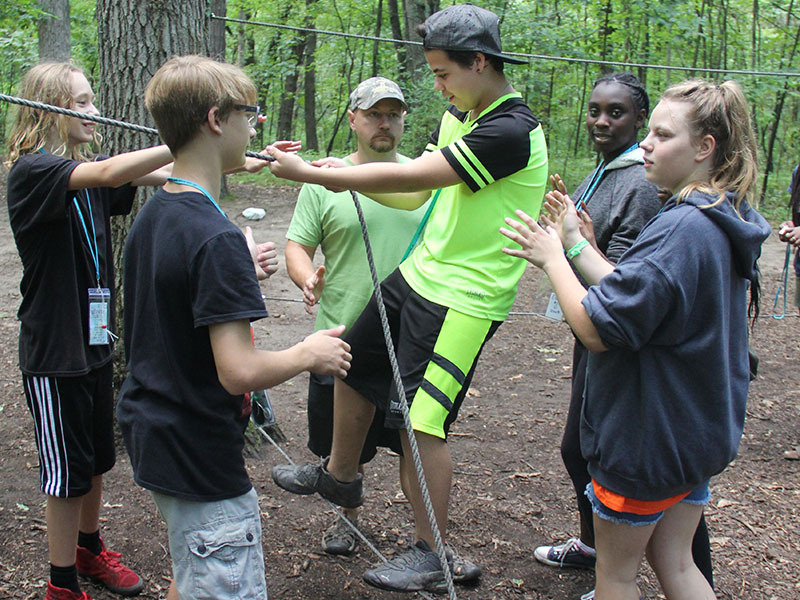 Whether you are just wanting a group bonding experience or a teambuilding program, we have something for you! We strive to facilitate fun life-impacting programs that foster growth by challenging individuals and groups to further respect and care for one another. We offer overnight and day field trip teambuilding opportunities, customizable to fit the needs of your group. 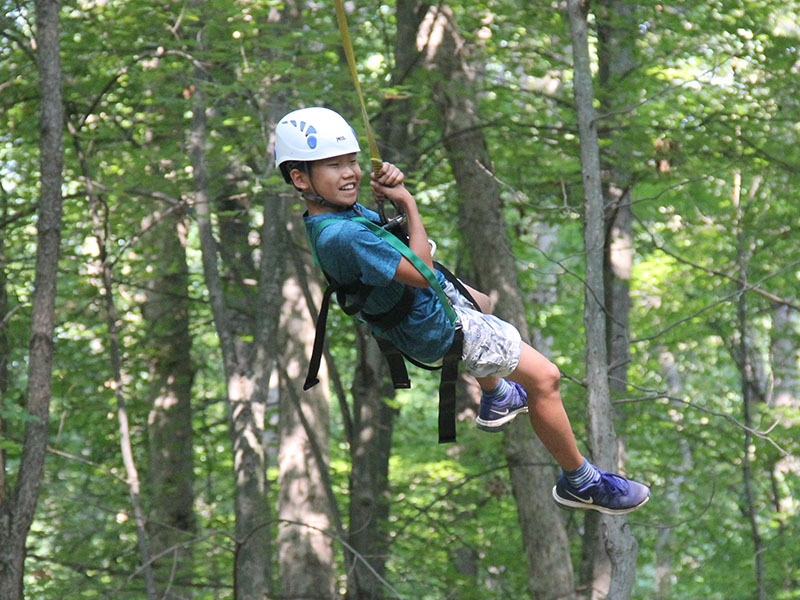 Check out our Low Ropes Obstacle Course, Zip Line Rides, Glacier Valley Eco Zip High Ropes Course, Giant Swing, Flying Leap and Climbing Tower. We offer programs for all ages and all types of groups! Your safety is a top priority. Trained staff will provide all participants proper instruction and equipment. 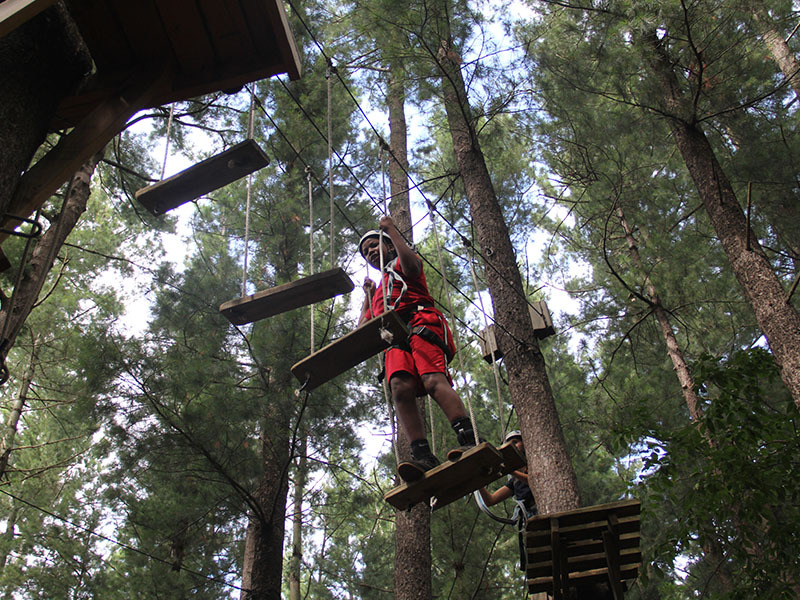 We are accredited by the American Camp Association and operate under safety standards of the Association for Challenge Course Technology. 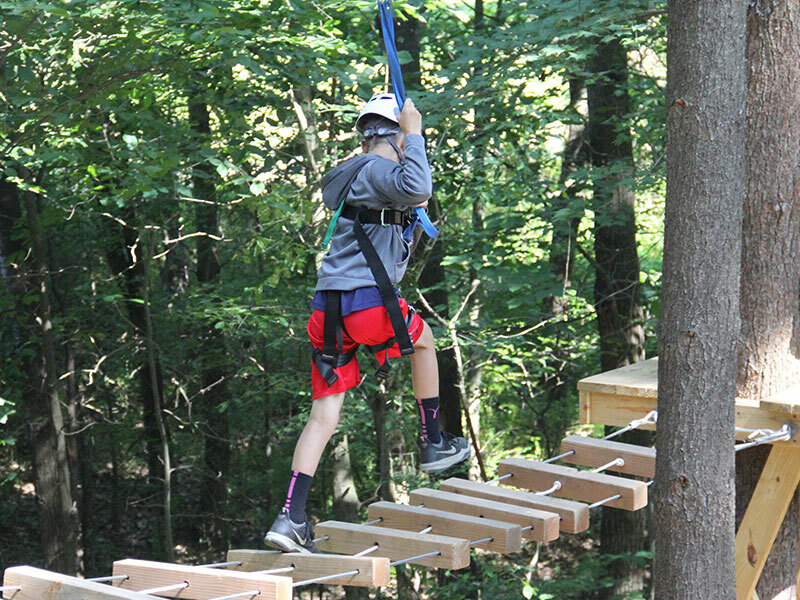 Please note that due to safety regulations, the maximum weight for any activity in the high adventure area is 250lbs. Different activities also will have minimum weight/height restrictions that will be listed under the activity. The event "October 27, 2018 (Saturday) Glacier Valley Eco Zip Tour - GLOW TOUR 7:00-9:30 pm" is no longer active. Challenge by choice is the high adventure motto. 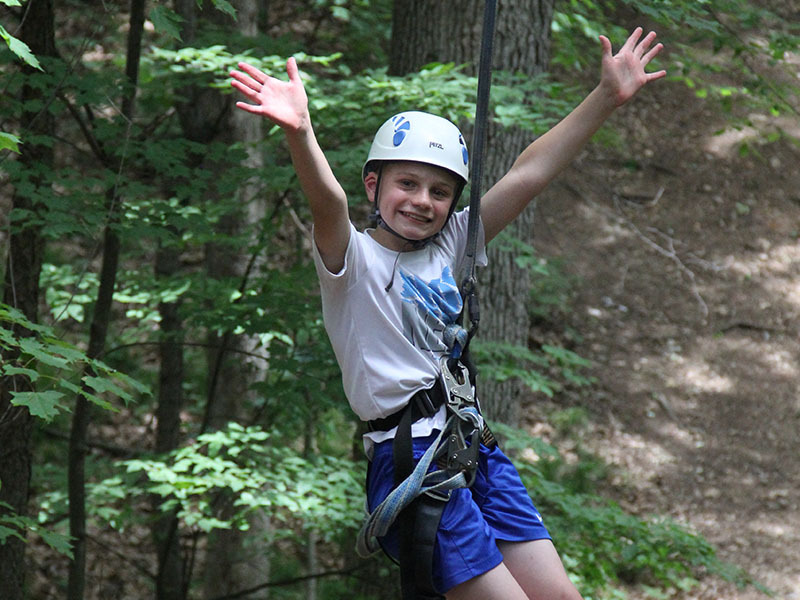 Soar through the sky as you experience a seven-zip tour spanning a half-mile (takes 2-3 hours). View the Nature Center’s unique geological and ecological features on this guided eco-adventure. Must weigh between 60 and 250 lbs. 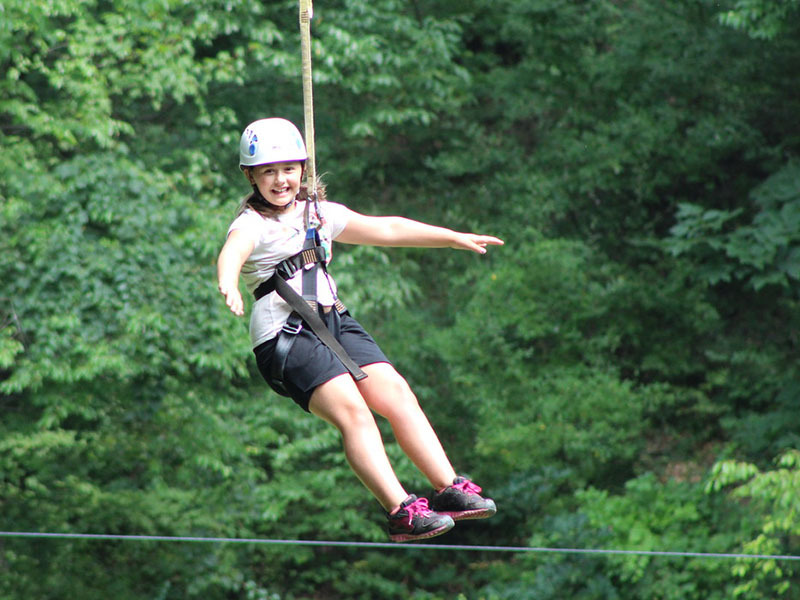 Ride our two longest zip lines, Reptile Run and Amphibian Alley (ages 5 & up). Check out the view from one of the tallest outdoor climbing towers in Michigan. This 60ft structure features windows to rest and take in the view (ages 5 & up). 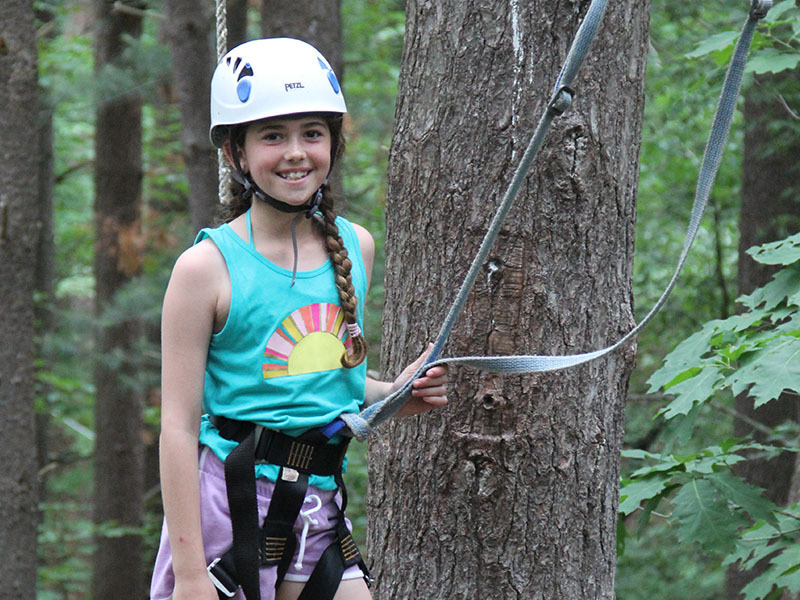 Navigate through the trees more than 25 ft in the air in our high ropes courses – North Pines and South Pines (ages 10 & up). Hop into our harness and get pulled up to 40 ft in the sky to take a view of our beautiful landscape. Then you release the swing to experience the g-forces. 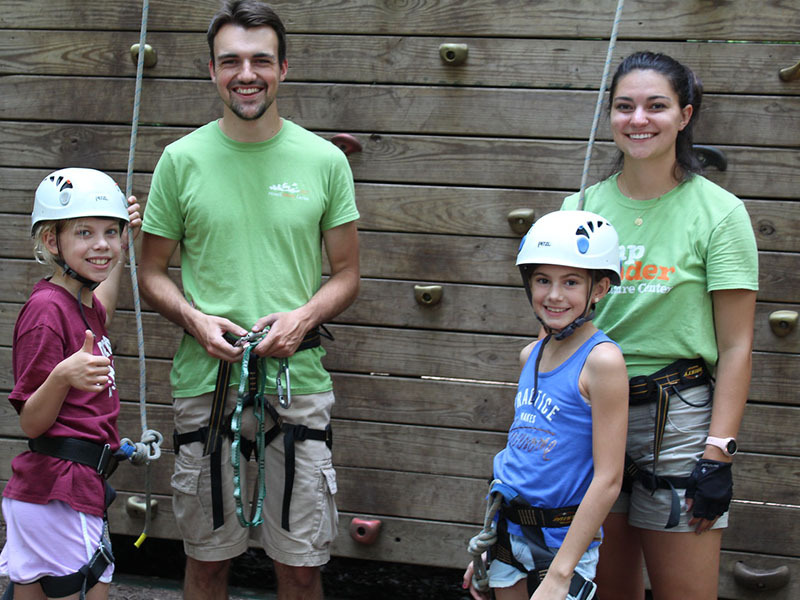 Take time to hang out with our experienced staff as they make you scream with excitement! 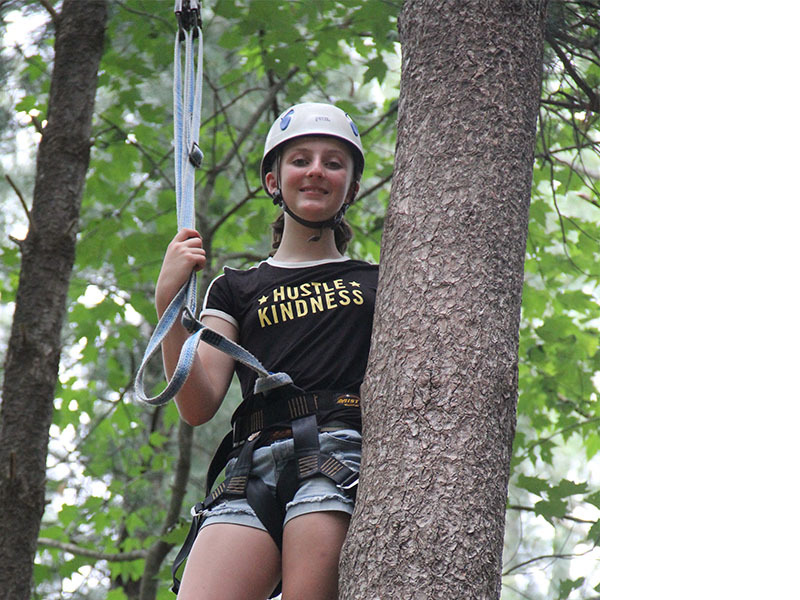 Hop into our harness and climb to a little platform on the side of one of our beautiful trees. Look out in the distance before jumping off into your harness. Then get lowered down safely by a team of peers and an experienced staff member. This is another great challenge to do, in addition to the team challenge (ages 13 & up). 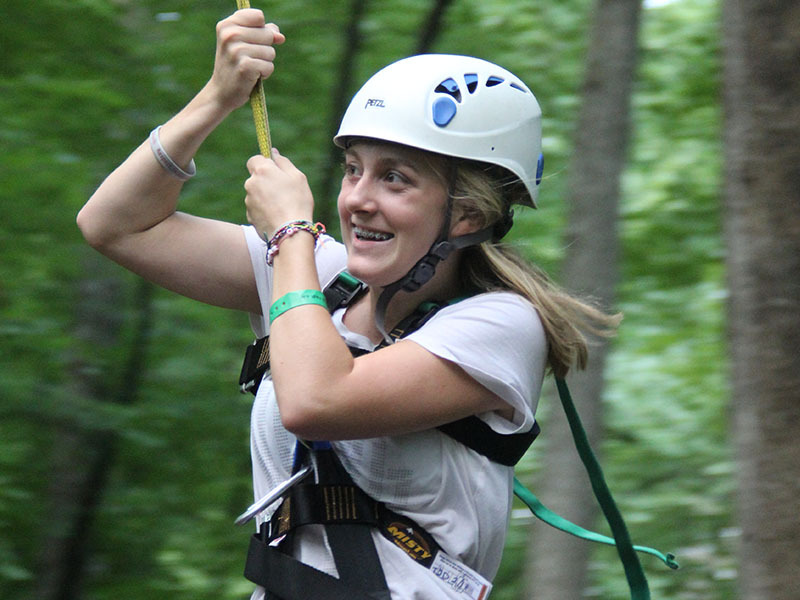 To determine the best challenge for your team, our High Adventure Coordinator is here to help! Call (517) 546-0249 today to discuss what will work for your team! 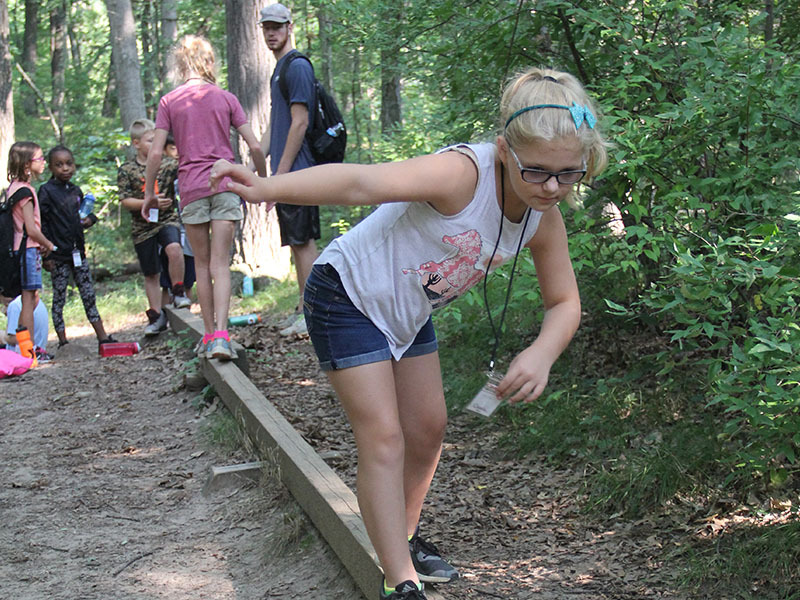 Pre-registration, pre-payment and signed waivers are required for all adventure programs at the Howell Nature Center. 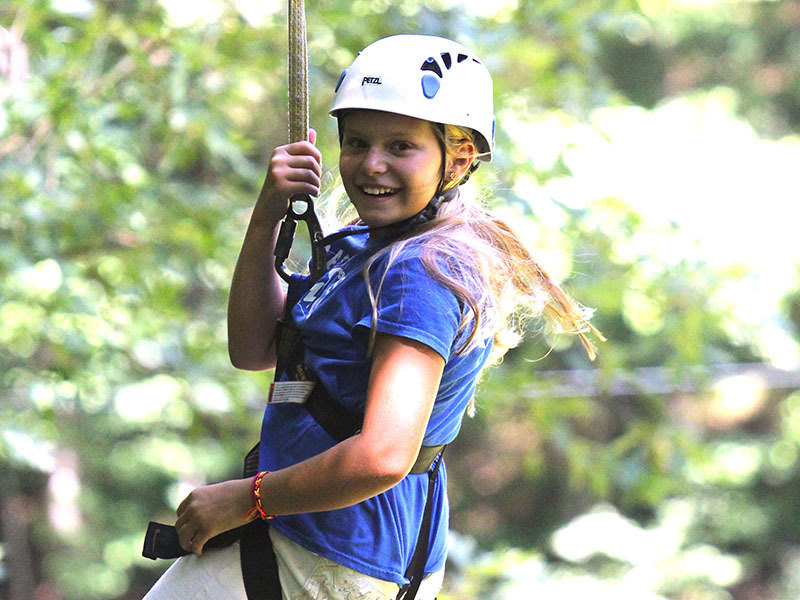 Find your adventure on our event calendar or call our Welcome Center at (517) 546-0249. Please print, complete and bring with you the day of your adventure.